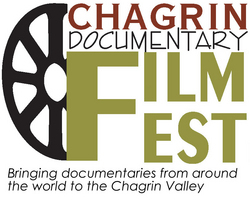 As we all know, ever since LeBron left the only significant thing about Cleveland is that it’s geographically close to Chagrin Falls, home to the two-year-old Chagrin Falls Documentary Film Festival. The area’s only festival uniquely devoted to nonfiction features and shorts, the CFDF normally takes place in October, but director Mary Ann Ponce is beginning 2012 with a special roaming series, reviving past hits from the fest in alternative venues, sometimes with special tie-in guests. All the screenings are free and open to the public. LOCATION: Chagrin Falls Public Library at 7 p.m.
Who said the New York Times documentary PAGE ONE was the last word on journalism (or lack of it) in the internet age? Filmmaker Brett Schwartz covers the bankruptcy of the once-mighty Chicago Tribune and the concurrent rise of scrappy, web-based grassroots-community journalism to show newsrooms in flux. Disaster - or the best thing to happen to reporting since moveable type? Local newspaper publisher Ken Douthit will appear to comment. No doubt he and everyone else will tearfully recognize Charles Cassady Jr.'s layoff last year from the Morning Journal of Lorain with a candlelight vigil and a fundraiser, right? Ahem, right? LOCATION: Chagrin Falls Public Library at 2 p.m. LOCATION: Geauga Park District, The West Woods at 3 p.m.
You’ll feel very foolish having paid your taxes by deadline only to find the world’s going to end in eco-palypse! In this double-feature, filmmaker Josh Gibson scrutinizes the invasive Asian plant that has overtaken the entire American southeast. The five-minute IF YOU LISTEN… is also an environmentalist documentary that hails from local filmmaker Tiffany Ann Laufer; she will attend in person, accompanied by park naturalists and experts in invasive species. LOCATION: Shaker Lakes Nature Center at 7 p.m.
Co-director Troy Hale and Geri Alumit Zeldes follow Flint, Michigan farmers and residents as they revitalize their city through the creation of a farm that teaches disadvantaged youth of Michael Moore’s infamously hard-hit city the basics and appreciation of good old-fashioned agriculture, a possible new economic base after the auto industry’s decline. This urban-farming movement is springing up all over the country, with many examples in Cleveland, and Jay Szabo will discuss the vigorous growth of urban gardening programs in Cleveland, such as his work with the Dunham Tavern garden and the Cleveland Botanical Garden. The Samaritans got a terrific character reference in the Bible via Easter-season favorite Jesus - but in modern times they are a tiny, conservative religious sect in the West Bank area, dying out because they still maintain extremely harsh tribal rules against assimilation and intermarrying. Filmmaker Barak Heyman follows an Israeli actress, her three sisters and their father, facing persecution and excommunication by their 700-person community because they gravitate towards mainstream Jews. LOCATION: Chagrin Falls Public Library at 10 a.m. In a screening timed to recognize Memorial Day, filmmaker Todd Lyle will appear in person with his oral-history project that interviews Chagrin residents who served in the US military and saw combat across the decades.